Ferenc is a sculptor from Hungary. 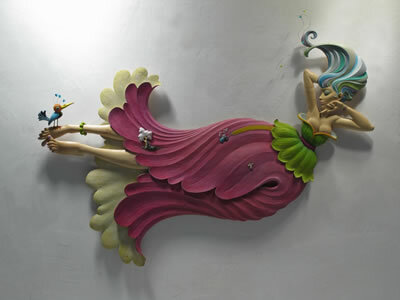 He creates wooden reliefs of mystic colorful women. For him, the most beautiful things in life are women and trees. Both are so magical and vital. His work components are dainty humor, enchanting erotica, perfectly carved details and an interesting tale, with all these in proportion as they are in life. His Facebook page is Ferenc Somogyi Sculptor.